Harry Pearce had a bad feeling when his doctor called him out of a senior management meeting at General Motors and asked him to meet her to discuss follow-up tests to a routine physical. He hurried to the hospital. “When I saw her coming down the hall toward me, I knew something was terribly wrong,” Pearce recalls. The then 55-year-old vice chairman of GM-expected to succeed Jack Smith as CEO when he retired-was experiencing no health problems, no aggravating symptoms; he had no evidence that anything was amiss. But on that otherwise ordinary day in April of 1998, Pearce heard the words: “You have leukemia.” In a state of complete shock, he rose from his chair-and fainted. Pearce’s story had a happy ending. He recovered with the help of a stem-cell bone marrow transplant from his brother. But his brush with death was all too real, bringing him closer to the brink than he’d ever imagined. Certainly Pearce isn’t the first to have been thrown by such a sobering reality. The concept of debilitating illness contradicts the image of the proud, invincible CEO. 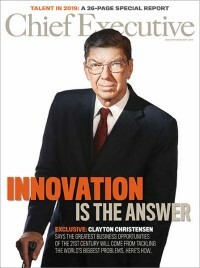 No more or less tragic than the loss of any human life, the passing of a CEO is nevertheless uniquely charged, given the enormous impact he or she has on the health of companies and the welfare of employees. The Coca-Cola Co. has yet to recover from the death of its revered CEO, Roberto Goizueta, who lost a brief battle with lung cancer in 1996. The market was forgiving at the time because Goizueta had long been grooming Doug Ivester to take over. But Ivester failed to live up to expectations and was gone after two tumultuous years. Current CEO Douglas Daft continues to struggle with layoffs, management turnover, and a slumping stock price. Texas Instruments’ Thomas Engibous, who took the helm when CEO Jerry Junkins died suddenly of a heart attack in May 1996, has fared better, but more than a few skeptics challenged his abilities, and the rocky transition translated into trying times for TI. Goizueta and Junkins were just two of at least 20 CEOs of significant companies who have died unexpectedly of cancer, heart attacks, or fatal accidents in the past five years, leaving their companies grieving and their boards, too often, stumbling for successors. More than any other catastrophic event that will occur in the life of a company, the death of the CEO is the one least planned for. Even for those whose craft it is to manage and anticipate risk, sudden death is a tough one to plan for. Yet unexpected events are apt to happen in the lives of busy executives, who travel more, work harder, and sleep less. Job stress has never been higher. Market cycles are shorter and chief executives are allowed far less time to prove themselves before they’re shown the door. It’s no wonder that, in the past year alone, at least 15 companies reported their CEOs had suffered heart attacks. Eight of those were fatal. Not for all CEOs. Some unabashedly continue to push the envelope. There’s Herb Kelleher, the cigarette-smoking, bourbon-swilling, beloved chairman of Southwest Airlines. “And he’ll probably live to be 100,” says Crist. And then there’s Herb Baum, CEO of Scottsdale, AZ-based Dial Corp., who confesses a love for hotdogs and says that if he could be in any industry besides his own, he would choose fast food. “I’m their best customer,” he quips. But boards no longer suffer poor health habits gladly. And they’re proving it by mandating regular testing for senior executives at clinics like the Rocheser, MN-based Mayo Clinic and the Cooper Clinic in Dallas, where Baum goes for his yearly physicals. Sometimes boards want to make those results public, leading to CEOs’ “cramming” for their tests-logging in extra time on the treadmill in the months preceding their physical just so they can say they’ve been exercising, even when they normally don’t. “It’s almost like they’re coming for their final exam and they want to get as high a mark as they can,” says Dr. Robert Orford, director of Mayo Clinic Scottsdale’s Executive Health Program. Orford further reports that, when irregular heart beats or high blood pressure do present themselves, CEOs are typically ready and willing to do whatever’s necessary to get healthy. Still, planning and prevention can only take one so far, a sobering reality even for those hypervigilant about their health. Some disasters just aren’t visible. “Risk-takers like to take risks, both professionally and personally,” says Crist. Combine a stalwart spirit and a sense of immortality and you end up with CEOs in potentially greater danger during their down time. The increased travel alone-in private jets, helicopters, and chauffeured cars navigating the treacherous highways and autobahns in foreign lands-ups the ante. In 1997, The Wall Street Journal reported that the fatality rate in corporate plane crashes was about twice that of commercial airlines-higher if propeller planes and helicopters are included, and higher still for charter lines, and foreign-registered planes, and business people who fly themselves. Recent disasters have tragically borne that out. This past January, pilot Michael Chowdry, who’d been chairman, president and CEO of international air cargo company Atlas Air, crashed his private jet in a field near Denver. LifePoint Hospitals of Brentwood, TN, lost two CEOs in little more than a year-both while pursuing hobbies. The first, 38-year-old Scott Mercy, was killed in a plane crash while taking flying lessons in Nashville in June of 2000. One year later, Jim Fleetwood, 54, died of an apparent heart attack while sailing the Florida Keys with his wife in their new custom-built sailboat. These abrupt ends have been devastating for the companies left behind, though they’ve left colleagues and boards little time for private mourning. Even in the wake of such disturbing news, as stock prices dip and rumors fly, life at the company cannot skip a beat. There are press conferences to arrange, analysts to phone, interim leaders to appoint, and shareholders and employees to inform and console. Indeed, few deaths are quite so public, or the effects of them weighed so carefully as that of the CEO. Of course, boards must prepare for the worst. But when the CEO is a cherished member of the corporate family, no colleague wants to voice pessimism about his or her possibilities for survival, or even skepticism about his or her ability to stay on at the company during the illness. Even when it’s clear that a leave of absence is in order, convincing the CEO is another matter, says Dr. Connie Mariano of the Mayo Clinic, who served as Bill Clinton’s personal physician during his presidency. “They’re so determined to keep doing their jobs, and taking them away will almost kill some of these executives. So it’s a balancing act,” she says. Knowing when to step down “requires a healthy dose of reality,” advises Pearce, who was told he had a 50/50 chance of survival. “The reality is that if you’re faced with these kinds of serious illnesses, you may not make it, or you may be so impaired mentally or physically that you simply cannot devote the long hours required.” And yet, Pearce, who was out of commission for almost a year, is the first to admit it was largely GM’s avowed faith that he would fully recover and eventually return to his position that enabled him keep his positive attitude. “It was hugely important to know the company still thought I had value and believed in me,” he says. Which is why the death of a CEO can easily catapult an otherwise stable firm to the front of the takeover line. Suddenly leaderless, it’s seen as hobbled-a perfect time to go in for the kill. Dallas Semiconductor Corp. was scooped up by Maxim Integrated Products in January, a scant two months after CEO Vin Prothro died suddenly of a heart attack. The two events were not coincidental, says Tore Svanberg, vice president and senior semiconductor analyst at BancBoston Robertson Stephens. “He was a very strong leader, the core of the firm, and he had a lot of influence on the management team,” says Svanberg. “It was a very important loss for Dallas Semi.” The company had the management experience on its team to promote from within, he adds, but under the circumstances, Maxim made an offer it simply couldn’t refuse. Not all analysts have that same faith in the legacy left by a recently departed CEO. And Wall Street has had the power to make a company more vulnerable to takeover simply by lowering its ratings and voicing skepticism about its stability. That makes effective communication with the Street a paramount concern for board members following the death of a CEO. But how much do you tell? If you’re on the board of Badger Paper Mills, a small public company in Peshtigo, WI, you don’t say a word and hope nobody notices. Inexplicably, when CEO Thomas Cosgrove died of a massive heart attack in September 2000, the company managed to keep the news under wraps for nearly a month before disclosing it to the public. And then the news was buried at the end of a press release announcing the appointment of a new director. Analysts agree. While none would go on record, at least five Wall Streeters said any public firm that waits weeks to disclose such information is inviting ridicule. “What did his secretary tell people who called for him? That he’s out to lunch?” asked one analyst. When Olah asked his board about the delay, he was told that they wanted to wait until they had an interim leader appointed. “They cited confusion and shock-which I can understand,” he says. It may be understandable, but not necessarily forgiveable on Wall Street. Whatever the crisis, analysts hate to be kept in the dark. “Overcommunicating is the key to success in getting through a crisis,” says Crist. If the company has a successor named, it should announce that; if not, it should communicate its plan for getting one, as well as an interim arrangement. Michael Walsh, former CEO of Tenneco, did just that when he learned he had a brain tumor in 1994. In a display of remarkable candor, Walsh issued an immediate press release, held a news conference, and released a corporate doctor’s letter outlining his proposed course of treatment. LifePoint, too, made sure the news got to the right people before the rumors began circulating. CEO Fleetwood died on a Saturday and Jeffries & Co.’s Morgan got a call at his home on Sunday from the new CEO Ken Donahey. “Their style was to be very proactive,” he says. Pearce opted to make his illness public-and has been very forthcoming about his life-altering trip to the dark side. He’s a better leader for his experience, he says, more compassionate, more respectful of employee concerns, both professional and personal. “When you get into the rarified atmosphere of senior management, you can lose track of the fact that we’re all just people,” he says. “We have different titles, we get paid different salaries, but we’re all human and we have the same wants, the same concerns. In January 2001, Jack Mills, vice chairman of Blue Cross and Blue Shield of Nebraska, paid then- CEO Richard Guffey a visit on behalf of the board. The directors were agitated because Guffey had not named a successor publicly or privately, nor had he appointed a chief operating officer. Given the company’s flat structure of senior vice presidents, it would not be apparent, in the event of disaster, who could step into Guffey’s shoes. So Mills asked the CEO to at least get a process in place for succession planning, even if he didn’t have a replacement in mind. But Guffey never got around to it. And when he died six months later in a drowning accident while fishing with his wife in Minnesota, his company was thrown into chaos. The emotional toll on the company would have been high regardless because of Guffey’s long tenure; he had begun his career in the mailroom and had hired many of the senior staff, some of whom were friends. “But in this case it was probably more so,” says Mills, a board member for 17 years who volunteered to step in as interim CEO. “There’s no reason we should be going through this,” he says. Guffey was hardly alone in his denial. CEOs, by nature bullish, determined, and even arrogant, don’t like to plan for their own retirements, let alone their deaths. Sandy Weill has made that clear with his repeated protests, only half-joking, that he doesn’t need to name a successor (although he has agreed to select one by 2002) because he never, ever plans to leave Citigroup. No doubt a common theme for Baum’s peers. But fear of anonymity is not much of an excuse, say critics. Nor is it consolation for companies when their CEOs die without successors and they become targets of intense media scrutiny and shareholder lawsuits. This is why boards are considering more drastic measures, such as tying compensation to succession planning. “I’ve argued that as much as one-fifth of the incentive [pay] for a CEO should be tied to the succession planning process,” says Spencer Stuart Vice Chairman Dennis Carey. That doesn’t mean the successor must be named, but it should be clear between the CEO and a member of the board.